As we approach Game of Thrones season 8, who are some of the less-likely candidates to be sitting atop the Iron Throne? Just in case you don’t get enough Game of Thrones courtesy of the final six episodes, there is something still coming on the other side of it. Check out what Maisie Williams had to say about the burgeoning partnership between Arya and Sansa on Game of Thrones season 8! Going into the final season of Game of Thrones, Emilia Clarke has a story to tell — one that, remarkably, had never hit the mainstream press. 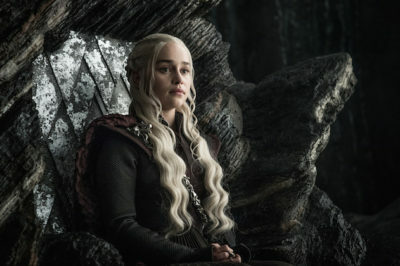 Game of Thrones season 8 is almost here and finally, we know all of the episode lengths, plus the series finale date. Few other shows get anywhere near the discussion as Game of Thrones, especially when it comes to the length of certain episodes. Yes, you read that correctly — we are here to write you an article telling you that Game of Thrones is popular. Game of Thrones season 8 trailer: Is Jon Snow going to ride a dragon? Check out the official Game of Thrones season 8 trailer, which is mostly about the necessary preparations for an epic battle. Game of Thrones season 8 is going to feature the Battle of Winterfell — here’s a sense of just how exhausting things were. Game of Thrones season 8 is taking some of their promotion to the next level. Find out how they’re managing to do it!